Not a lot of people can call themselves survival experts, but just about anyone can develop a few useful skills to help them survive in any situation, whether you’re camping, hiking, or even find yourself in the zombie apocalypse. Regardless of your reasons, it’s good to learn a thing or two about surviving in the wilderness. However, learning survival techniques isn’t the easiest thing to do. It takes dedication, commitment, and some time to develop certain skills. Now, if you’re wondering what you can do to become a survivalist, the answer is simple. There are a series of skills and techniques you should master before calling yourself a professional in this field. 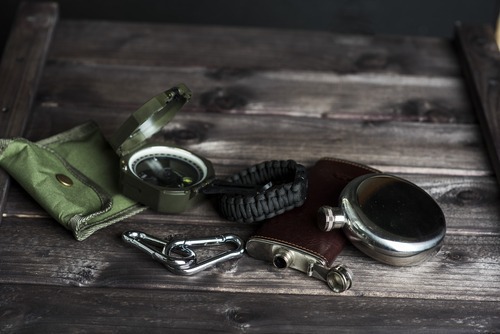 Still, some basics can help you reach your goal of becoming a better survivalist. We will go over those strategies that will definitely come in handy in many critical situations such as war, invasion, earthquakes, tornados, etc. Check out my list below and see what you can do today to become a better survivalist in the future. I suggest you learn the basics first before you move on to learn more advanced skills. Surely, it would be fun to learn everything you need to know right away and master the necessary skills. However, you must learn to “walk before you run,” and can’t learn the complex skills before you learn the basics. Therefore, before you get excited about starting a fire with using only sticks, make sure you know how to start it with matches first. The key is to know the fundamentals, which are the foundation for the more difficult tasks. So, the more experience you have, the better. Make sure not ever to stop learning. It’s important you’re consistent with your learning and development, and you’re honing your skills at all times. You may find yourself rusty in your survival skills if you take a break. If you never stop learning, you never stop growing. Plus, there are so many possible scenarios that people can find themselves in, that you can never know enough. So take advantage of opportunities and try to learn new things, from books, videos, magazines, and online. For example, there are surviving blogs, podcasts, etc. Also, attend any workshops, public speakings or anything where you could meet people of similar interests. This way, you can interact with surviving enthusiasts, and exchange knowledge and experience. Most of the time, fire and water are the most essential elements. Finding drinking water and being able to start a fire can increase your chances of survival exponentially. Also, it’s always useful to know how to build a shelter. Now, making a shelter can be difficult at times if you don’t have any materials at your disposal. In this case, you should search and build a shelter with whatever you think could be useful. In other words, be creative. Also, always be prepared and bring with you the proper equipment. Even if there is a small chance of you using a tool, bring it. You want to be sure that you have a backpack with you at all times. Knowing these crucial skills and keeping yourself informed can drastically improve your chances of survival. You can only become an expert if you’re constantly growing. This means it’s not enough to only know how to start a fire and set up a tent. You should know as many things as possible and always look for new skills to learn. If you’re going to be the best survivalist, you should know how to hunt, trap, build shelter, collect and purify water, etc. Also, it’s always good to know how to send S.O.S. signals to call for help. I suggest you keep going until you master many different skills. The key is not in mastering one technique or skill, but learning as many as you can. I suggest you pick and choose some of the skills and strategies you can learn quickly, and then do the rest as you go. Make sure you’re dedicated to every technique and skill because they take time and commitment. Decide which skills you can learn in the shortest period of time and take time to practice and master them, before moving onto the more difficult skills. Try to connect with different people who are also interested in survival skills so you can exchange experiences and opinions as well as make new friends. Keep learning, growing and practicing until you reach your final goal.